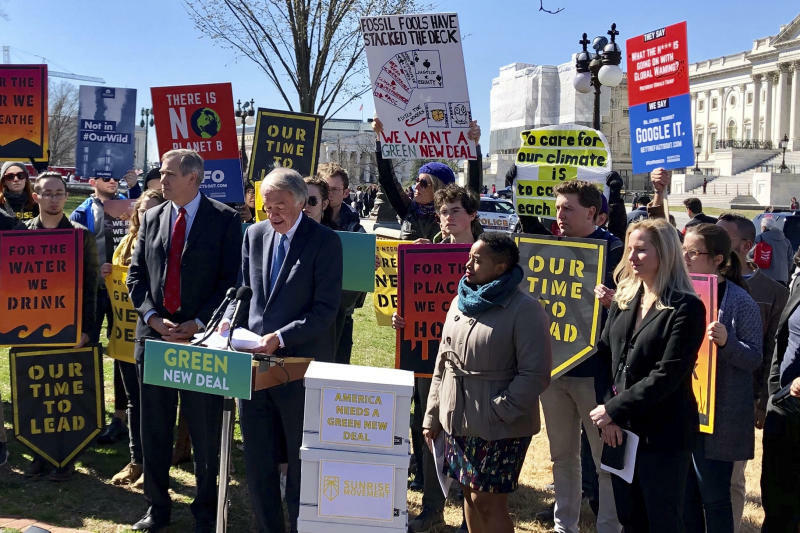 Majority Republicans forced the vote as they seek to turn the Green New Deal into a wedge issue in the 2020 elections. Democrats called the GOP's move a "sham" and said it carries its own political risk by mocking an issue that a growing number of Americans care deeply about. Four Democrats joined all 53 Senate Republicans in opposing the motion to take up the climate plan. Forty-three Democrats voted "present" to protest the GOP's action. Democrats accused the GOP of quashing debate by blocking public hearings and expert testimony about the consequences of inaction on climate change. 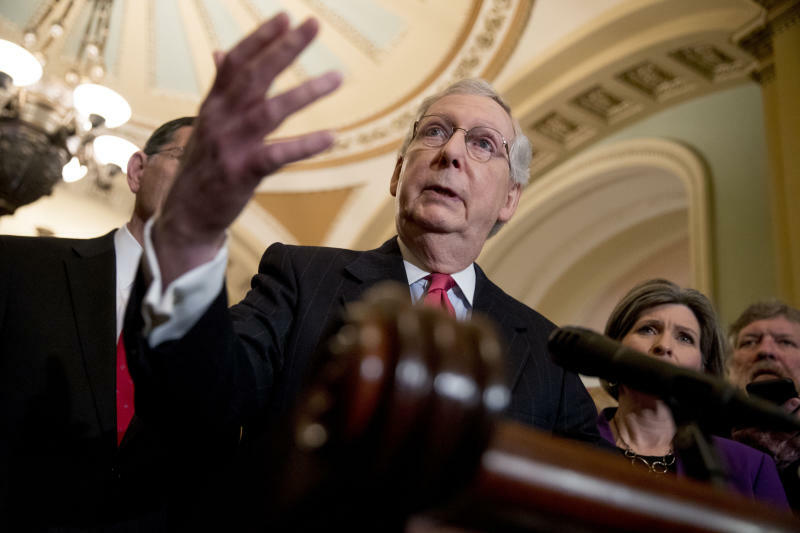 Senate Majority Leader Mitch McConnell of Kentucky scheduled the vote on the Green New Deal, saying it would force Democrats to take a stand on a plan that "might sound like a neat idea in places like San Francisco or New York" but would result in communities across the country being "absolutely crushed." By "basically outlawing the only sources of energy that working-class and middle-class families can actually afford," the Green New Deal would "kill off entire domestic industries" and eliminate millions of jobs, McConnell said. The plan could lead to a spike in household electric bills of over $300 a month, he said. Sen. Mike Lee, R-Utah, called the Green New Deal "ridiculous" and displayed pictures of dinosaurs, cartoon characters and babies on the Senate floor. He said he was treating the plan "with the seriousness it deserves." Lee's remarks enraged Democrats, who called climate change deadly serious, citing recent floods in the Midwest, wildfires in the West and hurricanes in the South. 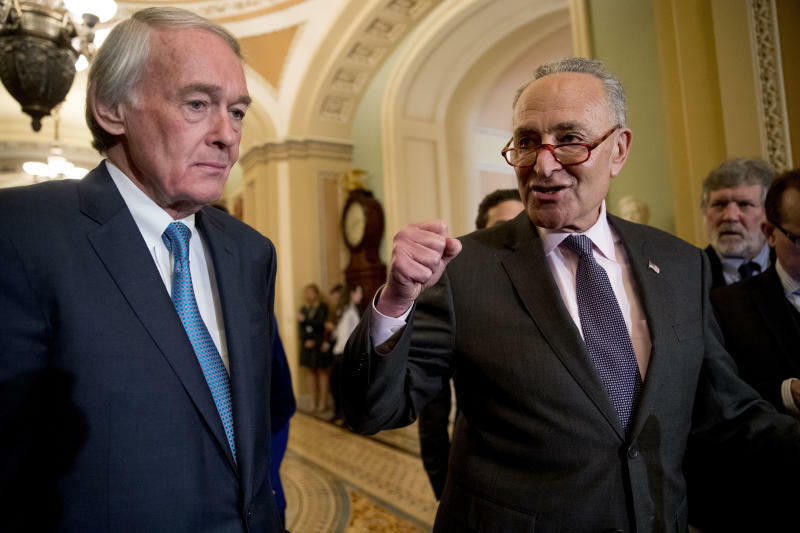 "Climate change is not a joke," said Massachusetts Sen. Ed Markey, the bill's lead Senate author. "Mocking it is shameful." New York Sen. Kirsten Gillibrand, one of a half-dozen senators seeking the Democratic nomination for president, said Republicans treat climate "as a game" and said Democrats "will not fall for this stunt." Addressing climate change "should be our nation's moonshot" in the 21st century, Gillibrand said, calling it a generational challenge similar to the race to the moon in the 1960s.